The names of flower bulbs present the key to determining what you are planting; common names can cause misunderstandings in instances when the same name is used for more than one type of plant. 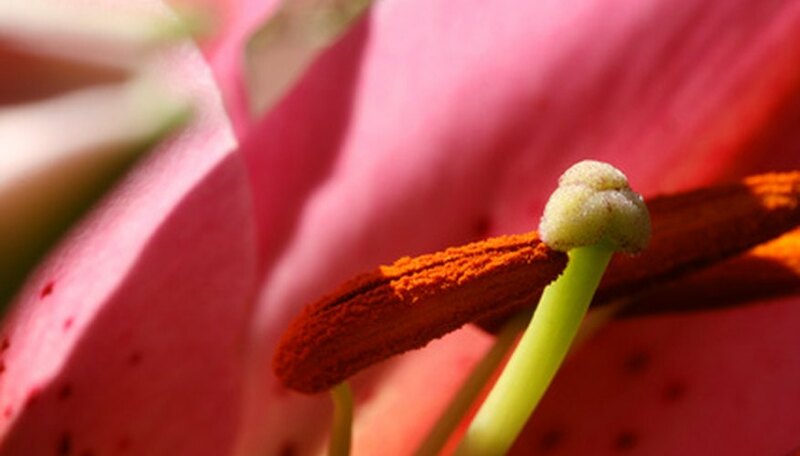 The common name "lily," for instance, makes up part of plant names like "daylily" but since true lilies are bulbs and daylilies are not, name crossover can cause confusion, explains the University of Minnesota. Learn bulb names by bloom season for successful choices in gardening with flower bulbs. Daffodil bulbs, which thrive in a quarter day of sun and well-drained soil, are available as jonquil daffodils, a group with small yellow, fragrant flowers that grow up to 12 inches in height; tazetta daffodils, a group with four to eight clustered fragrant flowers in white, yellow and red that grow up to 16 inches in height; and species daffodils, known as ancestors of current large-flowered varieties with usually fragrant blooms in yellow or gold that grow up to 12 inches in height, depending on the particular variety. Hyacinth bulbs also flower during the spring season. These bulbs produce a variety of flowers in a wide array of colors and fragrances that thrive in full sun and cooler temperatures. Tulip bulbs provide spring blooms, thriving in several climates based on variety. One tulip bulb group name is the single late tulip, which is well-suited to warm climates; its flowers come in shades of red, orange and pink and reach a height of 14 to 30 inches. Gladioli bulbs, which thrive in full sun and moist, well-drained soil, are available in every color of the spectrum and remain in bloom for the entire summer season and grow to a height of up to five feet. Lily bulbs are also known for displaying blossoms during the summer season. Lilies prefer full sun to partial shade and moist, well-drained soil and display flowers in bicolor, orange, shades of red, pink, white and yellow. Depending on the cultivar, lily bulbs can produce flowers with a height of up to six feet, according to the Clemson University Extension. Autumn crocus bulbs, which display white, pink, lilac or purple flowers, prefer full sun to partial shade and well-drained soil. These bulbs grows to a height of six to eight inches. Rain lily bulbs bloom during both the summer and fall seasons with a display of flowers in white or pink that open after rainfall. These fall-flowering bulbs thrive in partial shade and prefer moist, well-drained soil, and can reach a height of six to nine inches.